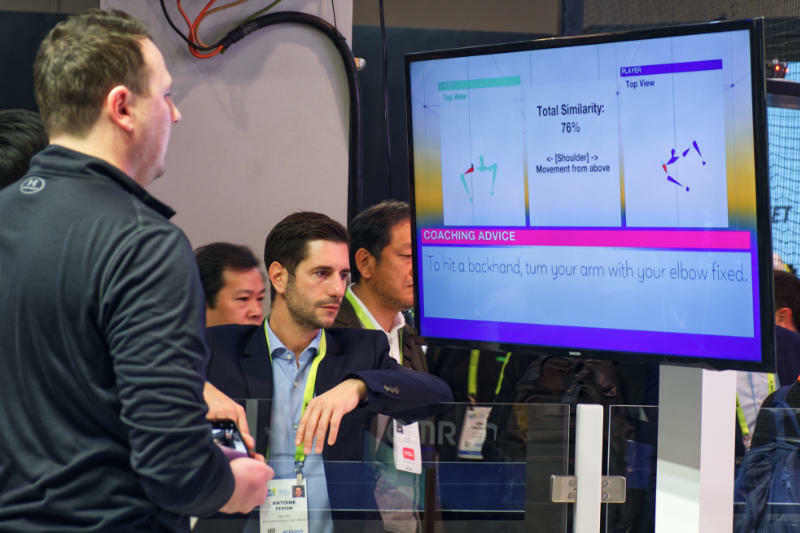 With all the TVs and autonomous vehicles at CES this year, we were left asking a very important question: “Where are all the cool robots?” Little did we know that we’d happen to stumble upon maybe the coolest robot at the entire show at Omron’s booth. Forpheus is the world’s only robot in the world that is a certified ping pong coach. When you approach the ping pong table, Forpheus scans and measures your unique stance and how you hold the paddle. It can predict where you will hit the ball before you hit it and tell you how to improve as your playing. Forpheus will also measure your skill level and adapt to meet your needs. Watching the robot as it deftly returns serves and predicts where the ball will land is seriously impressive. But Forpheus isn’t for sale despite many amusement parks asking Omron for their very own. Forpheus travels the world with five engineers to show off Omron’s core technologies and innovations in automation. Omron excels in building AI and robots that can handle the repetitive tasks in factories that are more dangerous for humans to do themselves. This kind of technology limits the risk of injuries and makes factories safer for human workers. 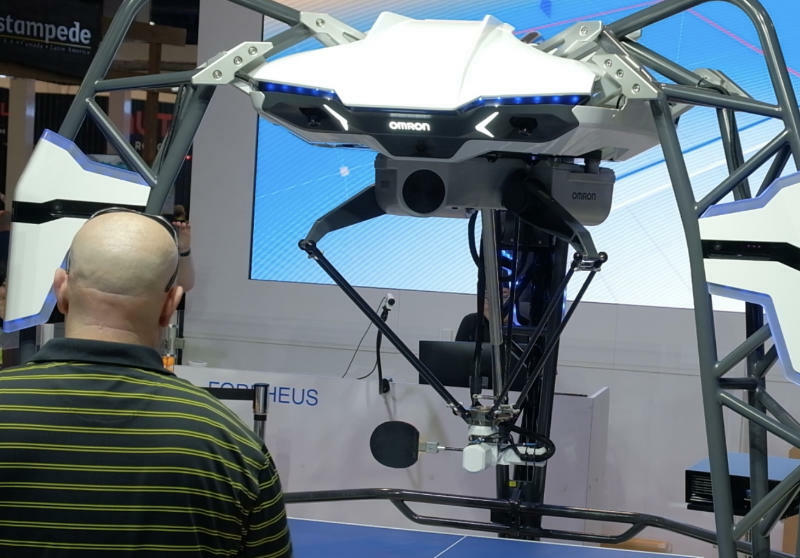 The company’s ultimate goal with Forpheus is similar to other companies we’ve seen at CES. As AI and technology advance at a rapid pace, it’s imperative to take a step back and consider how people will interact with these innovations. Forpheus is Omron’s way of showcasing the value of robotics on our daily lives and how people can interact harmoniously with AI in a way that will better our world. While we can’t purchase a Forpheus of our very own, it’s inspiring to see the level of care Omron is taking when it approaches developing its technology. If anything, Omron’s determination to ensure safe working conditions in factories through the use of automation is even more impressive than a ping pong playing robot. See Forpheus in action – and an interview with Omron Executive Matthew Trowbridge – in the video below! Check out all the latest CES 2019 news here.